Image above: Artwork ©Luis Gonzalez Palma, Mobius, photograph on felt, red thread, 40" x 30" at Lisa Sette Gallery, Phoenix, Arizona. 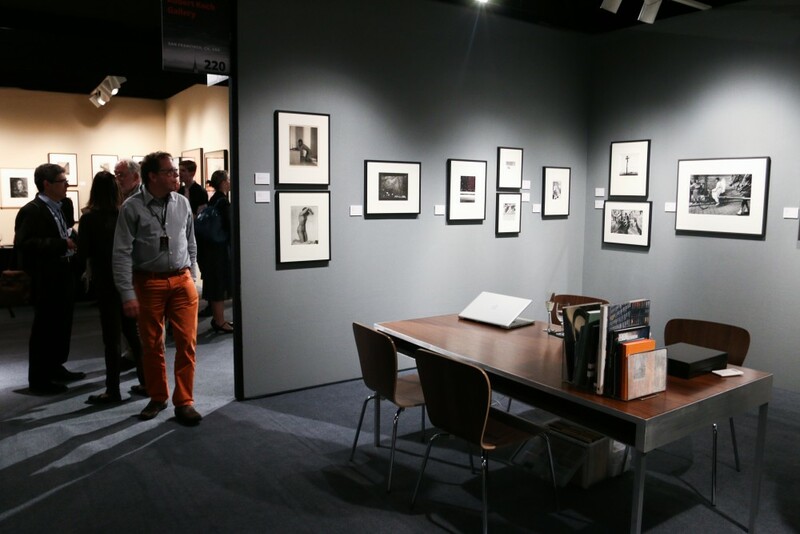 The Association of International Photography Art Dealers (AIPAD) Show at the Park Avenue Armory is the longest-running and most prestigious events for dealers and collectors every year. 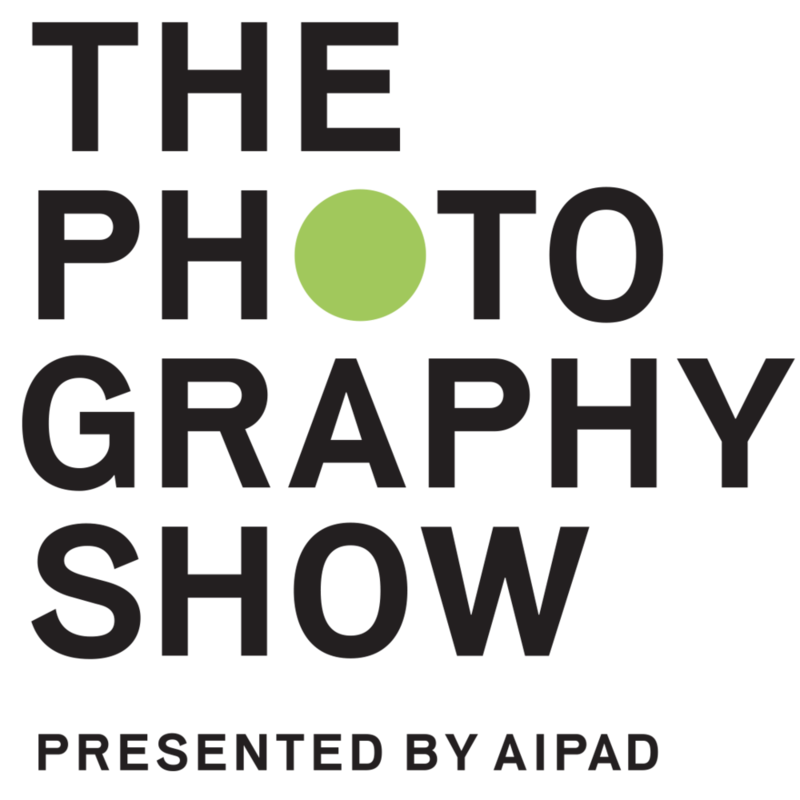 Among the almost ninety galleries from all over the US, Europe, South American and Asia the full range of photography is represented. There is vintage, contemporary and modern work - including photo-based mixed media and video. 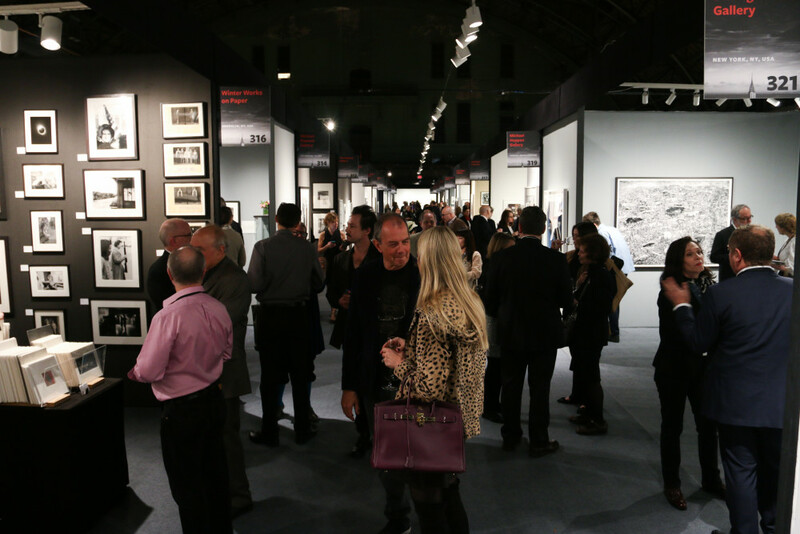 During the Opening Night Preview at The Armory. Some of the earliest work is that of Linnaeus Tripe who had commissions to document India and Burma in the 1850’s and whose work is currently being exhibited at the Metropolitan Museum of Art. There are previously unseen images by Margaret Bourke- White of burlesque dancers backstage shot in 1936 at Daniel Blau. Many beautiful gelatin silver prints from iconic photographers such as Sebastiao Salgado, Irving Penn, Gordon Parks, Robert Mapplethorpe and the usual suspects can be found in quantity. HackleBury Fine Art is featuring a large group of the Starn Twins further exploration of tree silhouettes in color. There are some intriguing pieces by Chinese artists. “Disappearing China” is the title of the series by Qin Wen at Hyperion. He makes large almost monochromatic prints which represent either literally or symbolically aspects of the present juxtaposed agains the old or soon-to-be past. They are subtly staged and enhanced by small touches of color. The work of Lu Yanpeng at the See Gallery, Beijing is a series of dream-like multi-layered images, some of which are combined with drawing which are lovely and enigmatic. 798 Gallery, Beijing has two large black and white images of a woman’s head which look as if they have been photographed from familiar Italian Renaissance paintings. The truth is that the faces have been created painstakingly by combining features from a myriad of Chinese faces. They are strikingly handsome. Cuban photographers are represented by Robert Mann Gallery who has culled these from The Light of Cuban Eyes, a show of various Cuban artists, many never seen before in the U.S., currently on view at his gallery. They are vibrant and colorful as well as black and white documents of life in Cuba today. Another Cuban-born artist Mario Algaze, can be seen at Throckmorton Fine Art. Alejandro Pérez, El Bohemio, 2014 © Alejandro Pérez Álvarez, courtesy Robert Mann Gallery. Joel Soroka is featuring the mesmerizing large scale color work of Beatrice Helg which looks like architectural theatrical sets consisting of patinated panels which appear to be in the process of disentegrating or floating. The arresting individual portraits by Luis González Palma of faces of indigenous people from Guatemala reveal a soulful, earthy reality achieved by a range of techniques and mediums which is then subverted by the overlaid geometric shapes collaged on top. It adds a whole other layer of meaning which is not revealed. That will be up to the viewer. There is much beauty to admire and trends to ponder (size seems to matter) For the student it is a survey course in the history of photography, of styles and techniques. For the connoisseur it is a well-stocked emporium. For the art lover it is eye candy. All Opening Night images by Paul McLaren.